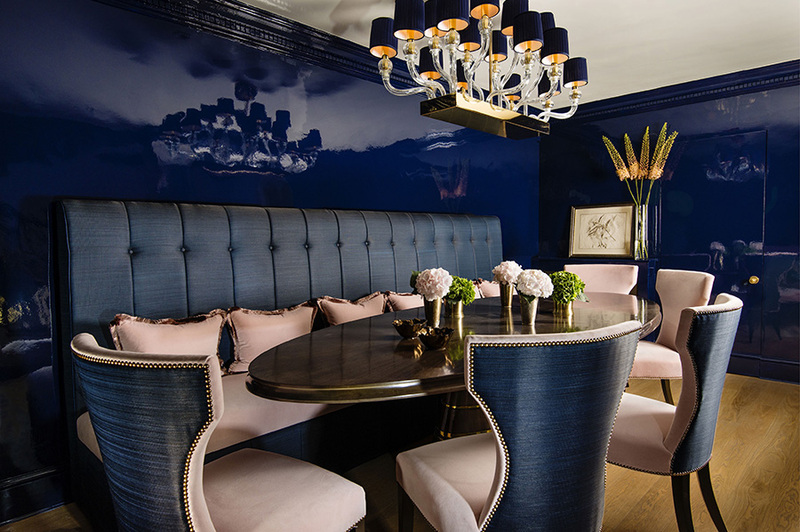 Ezralow Design asked us to reproduce a high gloss finish to match a wallpaper sample, which needed to be applied to walls and ceiling for an intimate dining area in west London. Household gloss paint was used to produce a deep mirrored finish. Photography courtesy of Ezralow Design and Edina van der Wyck.